Organised as a business and organisational consulting agency its mission is to support individuals and organisations in becoming more effective and impact-full with their business models. 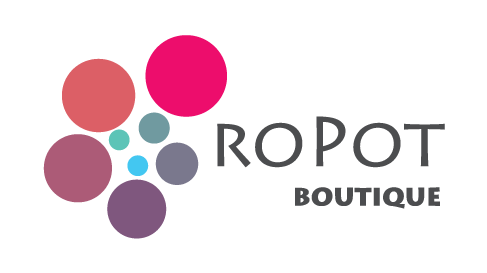 Ropot Boutique works locally and regionally with a team of high professionals in fostering development and innovation using simple, effective and visual tools and methodologies. Impact Hub Madrid has 3 open spaces and two under construction, totalling 10,000 m², dedicated to offer collaborative coworking solutions and training to freelancers, startups and companies; as well as unique spaces for meetings and events. Every year, 100,000 people get in contact with Impact Hub Madrid through its collaborative workspaces, the scheduling of events and innovation and entrepreneurship projects. Currently, Impact Hub Madrid network counts with more than 400 members of diverse companies and sectors. Impact Hub Vigo is part of a Global Network with more than 16.000 members and 100 spacer around the world. Emerges in 2016 as a part of the fragmented social innovation system in Galicia, made by Public – Private stakeholders of different nature, from individuals, NGOs, Private organizations, public Bodies, and others. Our main priorities are:1. Bulding an inclusive society; 2. Promoting sustainable use and management of natural resources;3. Contribution to job creation and entrepreneurship;4. Development of a social economy system. Impact Hub Siracusa is an cooperative company focused on Social Innovation, with a wide network of partners and affiliates in the Mediterranean region. The company has 5+ years of experience in Mediterranean cooperation, while its founders are senior consultants for public and private sector, with 10+ years of experience in cooperation and business consultancy. Methodology and services of Impact Hub Siracusa include: business support services, community building, setup of toolkits and attractive workspaces, organization of events and workshops, business acceleration and incubation programmes, fundraising and project financing. Impact Hub Lisbon is the largest network for social entrepreneurship in Portugal. We leverage social entrepreneurship and innovation to make the world a better place. Together we host a collaborative coworking community and curate events and programming to inspire, enable and connect our members to do good better. Over the last year we build a community of +90 members, curated +100 events and organized 6 acceleration & capacity building programs to support +50 startups.